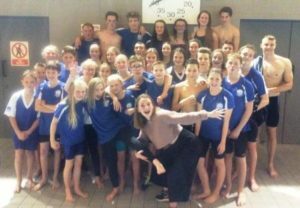 National Arena League – We’re Promoted! 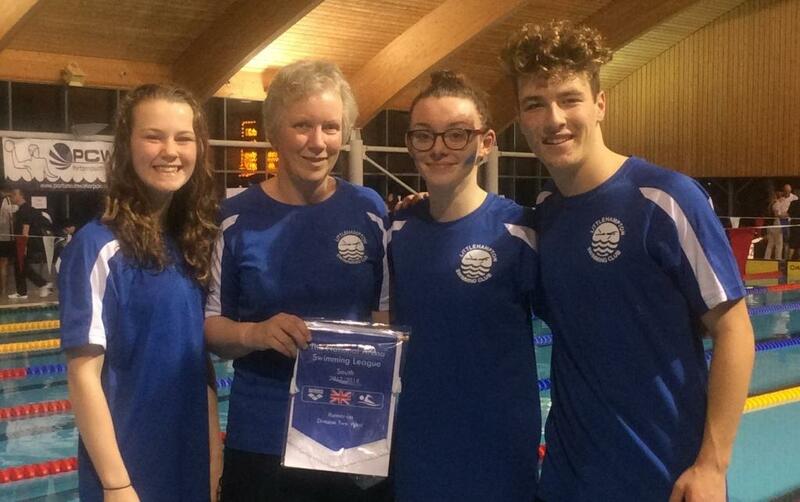 A thrilling night’s swimming saw Littlehampton finish 2nd and gain promotion to Division 1! This was a very exciting and closely fought gala which saw us beat our neighbours Worthing by just 19 points. Worthing finished 3rd and were also promoted, with a mere 7 points separating 3rd to 5th place. There were lots of PBs again, with Ella Thornburg and Euan MacLeod both getting regional times! Ella achieved her 50 back base time and 100 fly auto time in 1:16.59. Euan achieved his 100 fly base time and 100 back auto time in 1:09.91. Fabulous! We had 10 first places in all, with our 13/under boys (Euan MacLeod, Ollie Harvey, Daniel Fernandes & Ed Clark) doing the double again! Individual winners were Jessie Brown (2), Madi Walker (2), Jess Frayne, Ella Thornburg, Euan MacLeod and Abby Smith. As a team they were all fantastic, pulling out all the stops to gain 2nd place on the evening and promotion to Division 1!!!! Every point counted! It was so lovely to see all the swimmers so excited, what great teamwork! Thank you as always to all our lovely helpers. Mark Savill our referee, judge Mark Brown, timekeeper Dean Williams, team managers/coaches Ciara MacLeod, Kerry Iden, Dan Le Merle, Cian Gallagher, with extra support from Club Captain Rupert Guiel.